Bill’s practice focuses on estate planning (including wills, trusts, and advance directives), estate administration, and guardianships. He places a special emphasis on the challenges facing seniors, including issues related to long-term care and Medicaid. Mr. Lutz grew up in a small town outside of Ann Arbor, Michigan, but has lived in Indiana for most of his adult life. He worked as a Juvenile Probation Officer and Prison Administrator in northern Indiana before entering law school. He served as Law Clerk to the Hon. 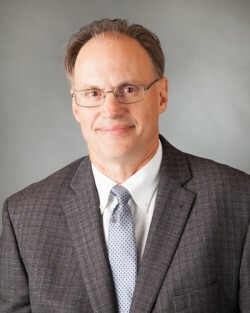 William Crandall, Missouri Court of Appeals from 1991 to 1992. Bill practiced law for ten years before joining DeFur Voran in 2003, where he is a partner and one of the founding members of the firm’s Elder Law Group. He is a frequent speaker on issues related to estate planning and health care decision-making, and runs a pro-bono clinic for senior citizens.